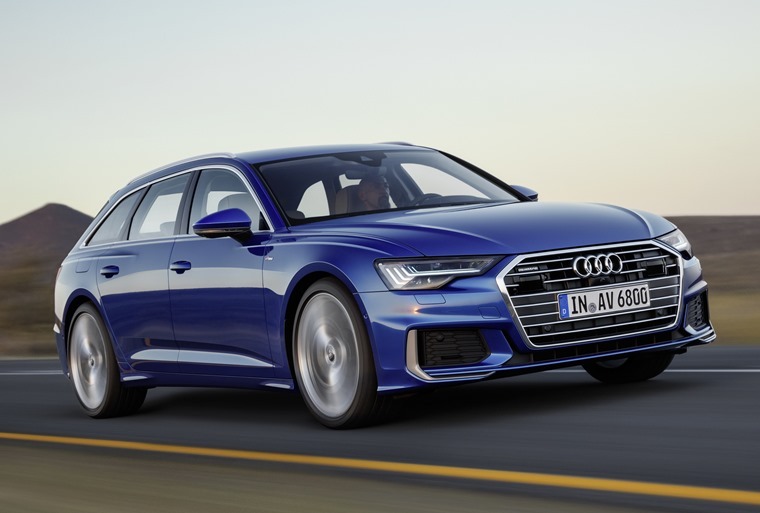 Audi has revealed the next-gen A6 Avant – a premium estate that’s designed to take on the latest 5 Series Touring and E-Class Estate. 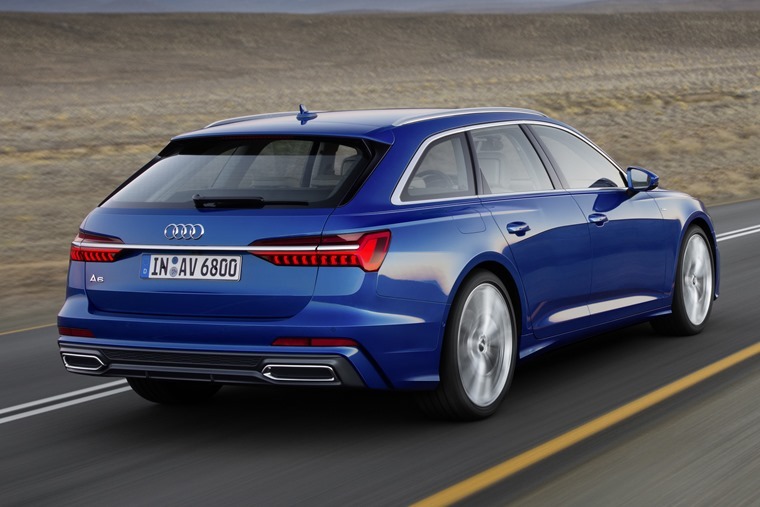 It joins the all-new A6 saloon that was revealed in full at the Geneva Motor Show in March – benefitting from the same sleek looks and tech-filled interior, but adding a practical 565-litre boot. At the front, it mirrors the saloon’s styling with the same large, hexagonal grille. Thanks to those angular, LED headlights it looks very much like Audi’s new flagship A8 front on. Round the back, it gets a swooping roof line and some very flat C-pillars – an unusual feature for an estate car. It’s certainly prominent enough to set it apart from its key rivals anyway. There’ll be a selection of alloy wheels available ranging from 17in to 21in, and those looking to add a sporty touch will be able to spec S-Line trim, which adds a larger set of bumpers and lowers the ride height by 10mm. 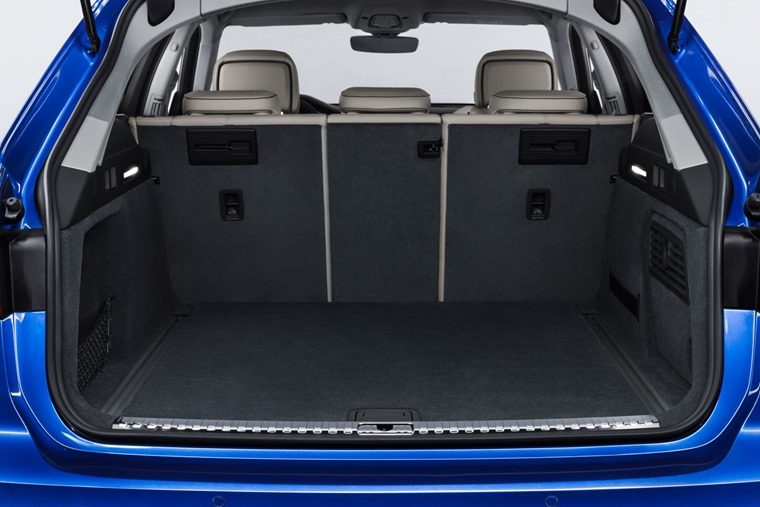 With 565 litres of room, the boot is exactly the same size as the outgoing car. That means it’s still outdone by the 5 Series Touring (570 litres) and E-Class Estate (640 litres). 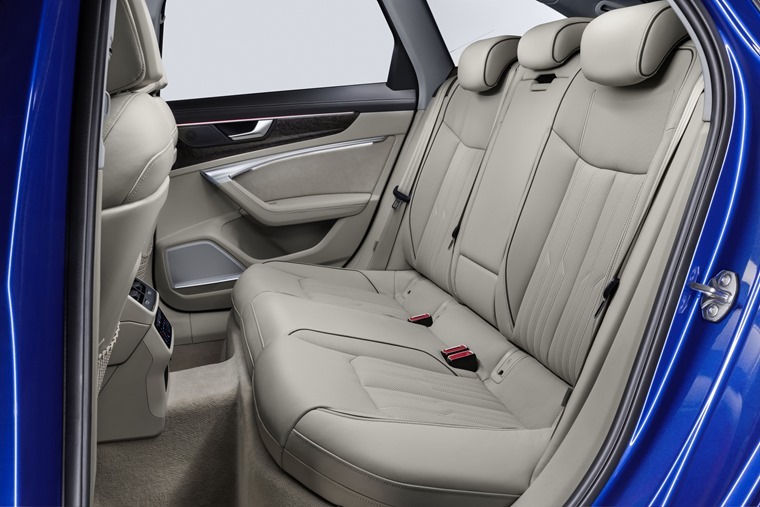 However, all models feature a handy electrically controlled 40:20:40 folding rear seat. Space increases are more noticeable in the rear of the cabin, where there’s more elbow and leg room. It was hard to find fault with the outgoing A6’s interior fixtures, quality has taken a significant step up in the new car, too. It’s upfront where you’ll find the biggest change however, courtesy of Audi’s new MMI Touch Control infotainment system that combines an 8in touchscreen for media and entertainment and an 8.6in touchscreen that controls the climate settings. The engine line-up is set to match the saloons featuring three diesels and a petrol. All of them feature Audi’s new mild-hybrid tech as standard, which allows the car to ‘coast’ between 34 and 99mph. In real-world driving, this tech can save up to 4g/km of CO2. The range kicks off with a 201bhp 2.0-litre turbo diesel. Next up is a larger 3.0-litre V6 diesel available in two states of tune – 228bhp and 286bhp. The range is topped off by a 3.0-litre V6 petrol that makes 335bhp, although smaller petrols are likely to join the range after launch. 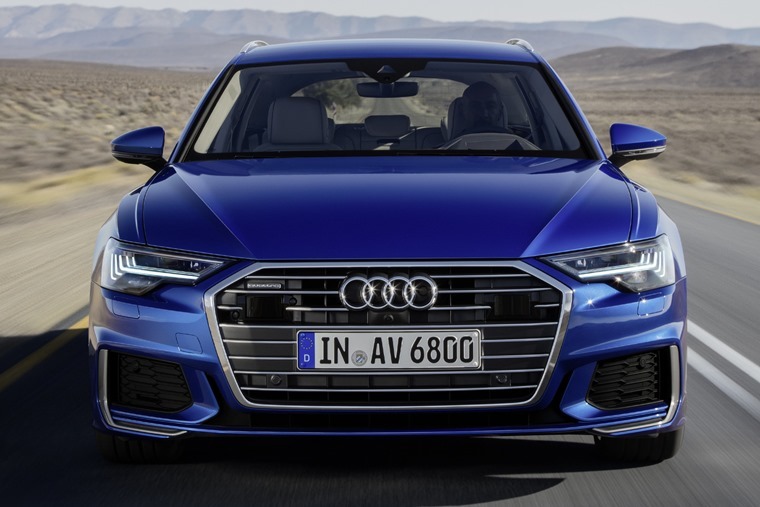 It’s worth noting the new A6 uses Audi’s new engine naming structure too, which you can read more about here. No manual gearbox is available as all engines make use of Audi’s S-Tronic automatic transmissions. Other options include dynamic all-wheel steering and a full air suspension. There’s no news regarding a sporting RS or off-road focused Allroad model yet, but you can be sure they will announced in the coming months. Deliveries are set to commence in early summer – alongside the saloon. No list prices or lease rates have been revealed. 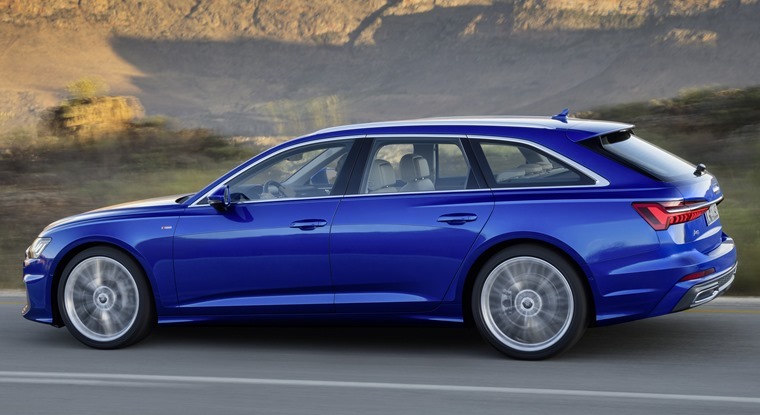 If you can’t wait for the new model, check out these lease deals on the outgoing (but still excellent) A6 that will cost you less than £350 per month.